Rockets found in UN school are reportedly handed over to terrorist group. Hamas has fired over 1,500 rockets at Israeli population centers over the past two weeks. Any new rockets would presumably be used in similar attacks. While UNRWA confirmed the existence of rockets in one of its schools last week, the organization refused an Israeli request to provide a picture of the weapons. A picture could have helped Israel show that Hamas uses civilian institutions to store weapons and launch attacks. Hamas has openly used human shields in its latest conflict with Israel. 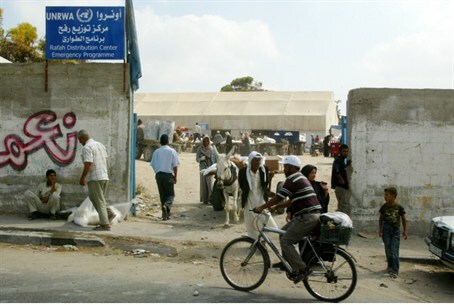 The terrorist group issued a statement Thursday urging Gaza residents to ignore IDF warnings to evacuate their homes. Earlier, Hamas gathered civilians to stand on the roof of a senior terrorist’s home in order to deter an IDF strike.